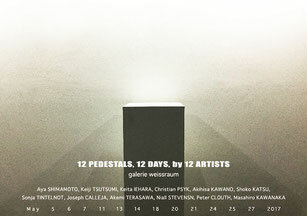 "Using one Pedestal, Showing one work, for one day". 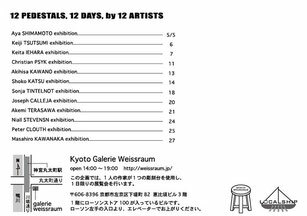 An artist holds a Solo exhibition only for 1day in this rule. 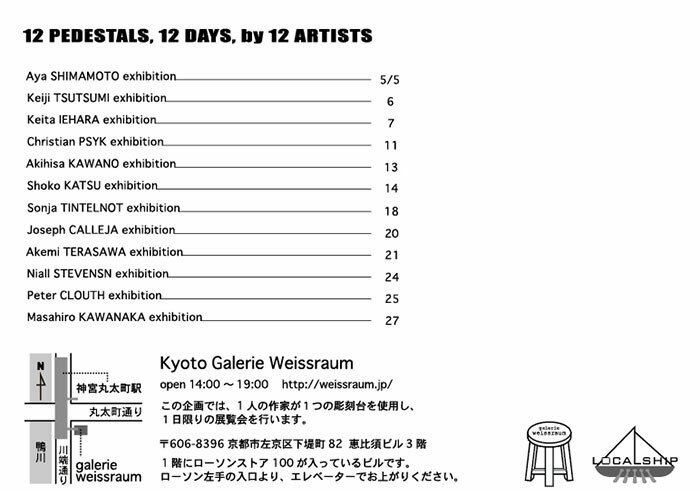 This plan was born from a conversation with Takaya Fujii, who owner and artist of the galerie weissraum. The artist who can live only by art are very few around oneself. Most artists have another job for to live. And they make art works in an interval of the job and show it. I feel that the work and domestic environment of our generation is changing. By that, I think that we can not have time to using for own art. Even though we come up with an interesting project, many artists are difficult to act now. Especially solo exhibitions are difficult. It may be possible to say the same thing for overseas artists. But I think, We want to show own works. and We hope to continue art with each other. While talking about such a story, Mr. Fujii said this story. "For example, you can show the one art work in this space. You do not have to think a lot of customers. This place can do it. You can to enjoy in this place it alone enough". I listened to the words and I decided to do this plan this time. I think that this content is less burdensome for artist. I think that it is not difficult to hold an exhibition. But of course the work is not allowed to be cheep. This project is not a group exhibition. 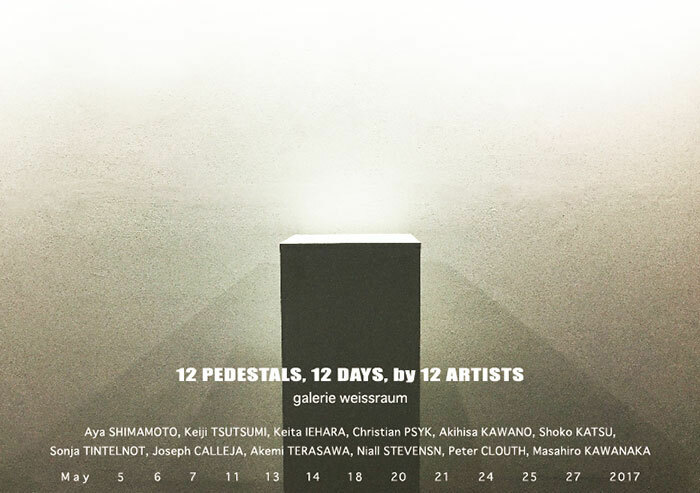 It is each solo exhibition. This rule is a challenge for the us and may be new fun. circumstance by focusing on the circumstances surrounding ourselves. This project may be an extremely private exhibition tailored to the circumstances of ourselves and this gallery. However, I feel the way is important and necessary that these people and society of connecting and continuing. I am looking forward to seeing what kind of way the Pedestal will connect us. and, I hope that you will be able to share the such fun and uneasiness with us.